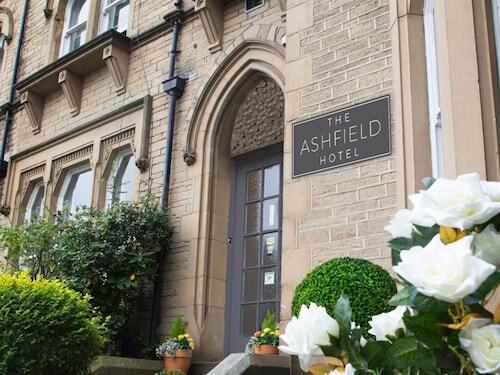 Situated in a rural location, this hotel is within 6 mi (10 km) of Greenhead Park, John Smith's Stadium, and Magic Rock Brewing Co. Ltd. Huddersfield Town Hall and Huddersfield Art Gallery are also within 6 mi (10 km). How Much is a Hotel Room in Huddersfield? Hotels in Huddersfield start at $42 per night. Prices and availability subject to change. Additional terms may apply. 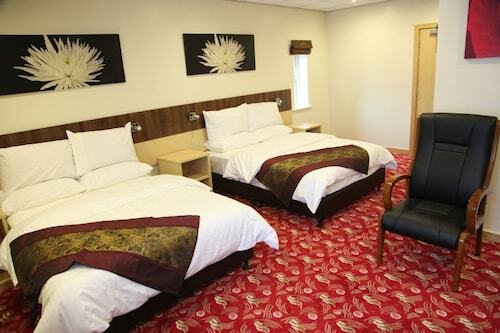 Huddersfield offers visitors an array of ideal hotel options to choose from. Right now, Travelocity customers can book a total of 27 hotel establishments within a 6-mile (10-kilometer) distance of downtown Huddersfield. Some Travelocity-listed rooms located close to the town center of Huddersfield are the The Cambridge Hotel and Edgerton Guest House. 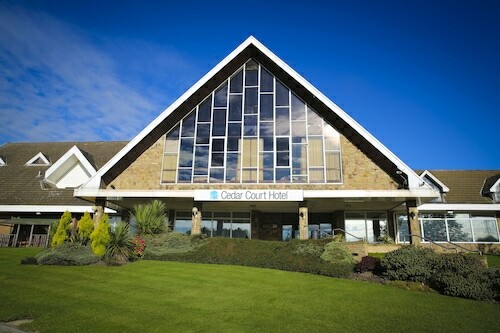 The Briar Court Hotel is a more economical hotel. 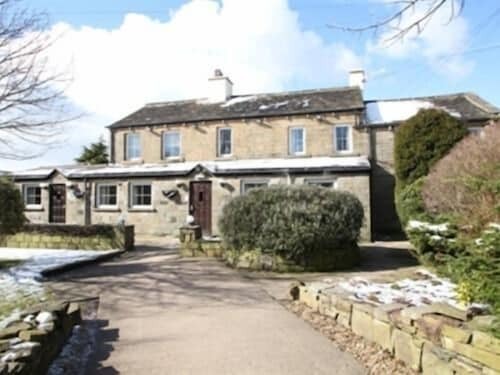 You'll find it nicely located 4 miles (6 kilometers) from the center of Huddersfield. Also, you could check out the amenities and rates at the The Cambridge Hotel. 16 miles (26 kilometers) outside of downtown Huddersfield, you will come across the Gateway Apartments. The Quebecs Luxury Apartments can be found about 16 miles (26 kilometers) away. Two more alternatives worth looking into are the The Chambers - Park Place - Apartments as well as the Croft Mill - Apartments. 20 miles (35 kilometers) from Huddersfield, you will find Ilkley, which is where you can spend the day enjoying Ilkley Moor and Ilkley Toy Museum. 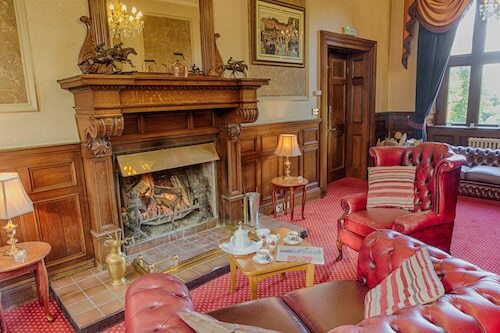 Some of our recommended Ilkley hotels and apartments include the Best Western Rombalds Hotel and Craiglands Hotel. 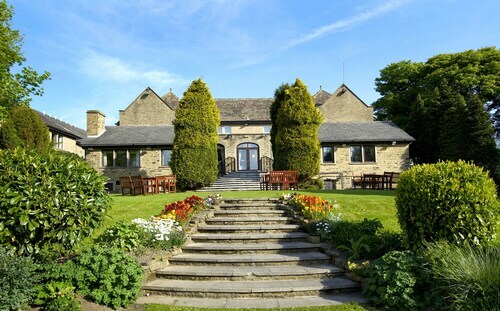 Or, you could consider staying in Yeadon, 18 miles (29 kilometers) north of Huddersfield, where you have the options of the Chevin Country Park Hotel & Spa and Hillcroft Barn. During your time in Yeadon, be sure to visit the Yeadon Tarn Park and Yeadon Town Hall. Get your sporting fix by making a voyage to Old Trafford, which is 25 miles (37 kilometers) to the southwest of Huddersfield. Book accommodation right by the action at the Dreamhouse Manchester Bloom Street or the The Lowry Hotel. Leeds Bradford Airport is a major entry point for arriving by air to Huddersfield. It is located 18 miles (29 kilometers) from the center of town. For modern travelers who plan to stay in Travelocity-listed accommodation nearby, book a room at The Half Moon Inn or Britannia Leeds Bradford Airport Hotel.